For more than thirty years, Justin Tanis has been engaged in exploring and living alternative sexualities. 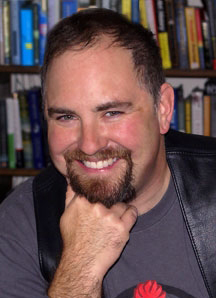 Justin has served as the editor of The Leather Times, the newsletter of the Leather Archives & Museum, and has been honored to receive the 2008 Pantheon of Leather Rocky Mountain Regional Award, the Southwest Leather Conference Spirit of Service Award in 2011, and the Master Jack McGeorge Excellence in Education Award from the Master/slave Conference in 2011. He is currently teaching as an adjunct faculty member at a progressive seminary and is working on his PhD focusing on the intersections of art, spirituality, and queer sexuality.